Join us from 12pm-1pm on Friday, February 8 for a Brown Bag Lunch talk with Dr. Kate Barush (Assistant Professor of Art History and Religion, GTU & JST). 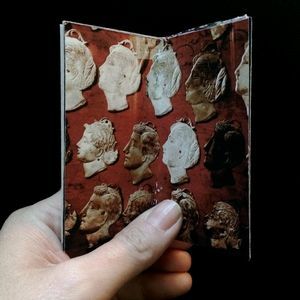 Recent scholarship in the field of medieval studies has shown the importance of souvenirs collected from sacred sites and used to extra-illustrate personal Books of Hours to create a multifaceted devotional experience (see, for example, Megan H. Foster-Campbell’s essay in Push Me, Pull You: Imaginative, Emotional, Physical, and Spatial Interaction in Late Medieval and Renaissance Art). This paper shifts the focus to the present day in order to explore the afterlife of religious souvenirs and third-class relics that have been incorporated into contemporary artworks. The work of three women artists working in media including assemblage, film, and installation will show the continuity of the idea of a perceived transfer of efficacy from a sacred site/object to their relocation in a work of contemporary art - and how such ritual engagement is received by the religious and art communit(ies) today.